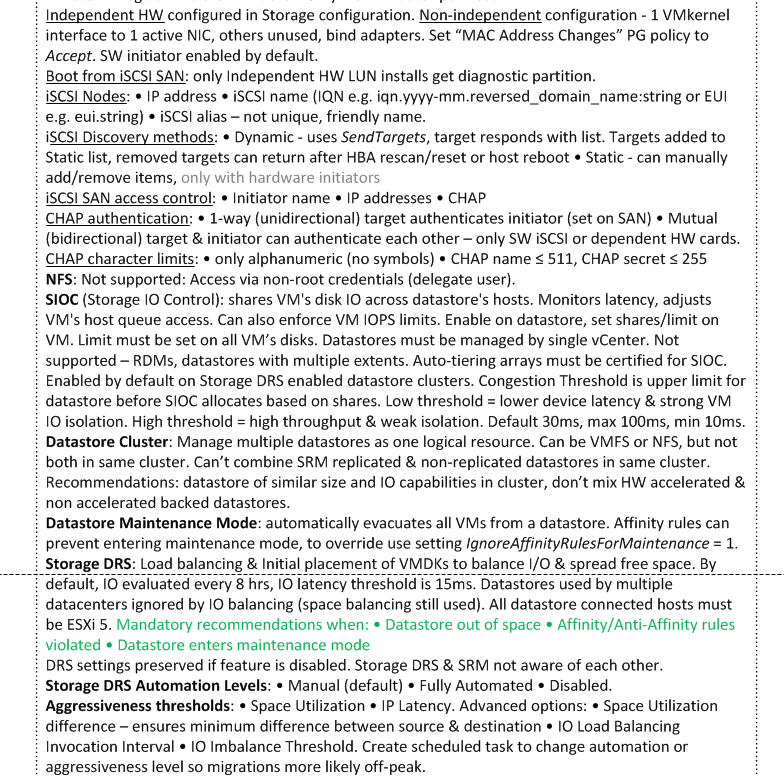 Here’s a preview of the Storage section from the upcoming vSphere 5 vReference Card. This is the last section I plan to include, so I hope to get a full beta of the card out in the next week or so. Formatting can be onerous and usually takes longer than I expect, but it’s not too far off. I laid it all out last week, but it takes up about 50% more real estate than 2 sides of A4/Letter paper provides. It calls for some clever typographical ingenuity to squeeze it in while still making it vaguely legible without a sub-atomic microscope. I realize there are lots of VCP4s out there that only have until the end of February to upgrade, so I know folk are keen that I’m finished soon. 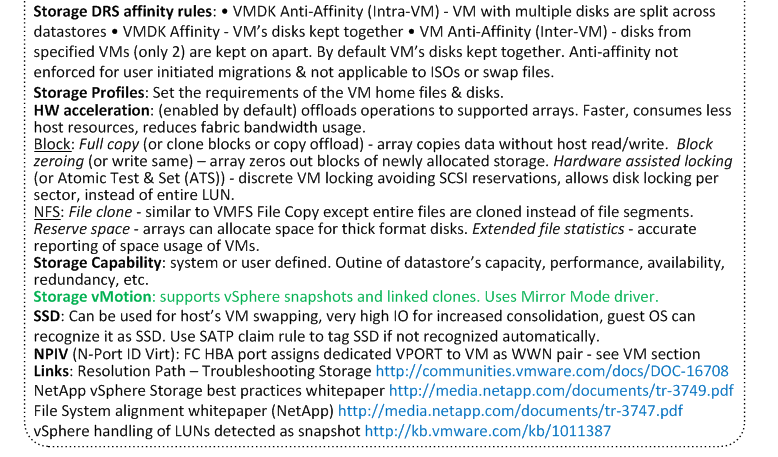 Until then you can still grab each section individually: Networking, Resources, Availability, VM, vCenter, Install, Hosts, and the Storage bit below. To help expedite the process make sure you let me know if you spot anything which needs correcting on any of these sections (or anything you think I should add or remove). 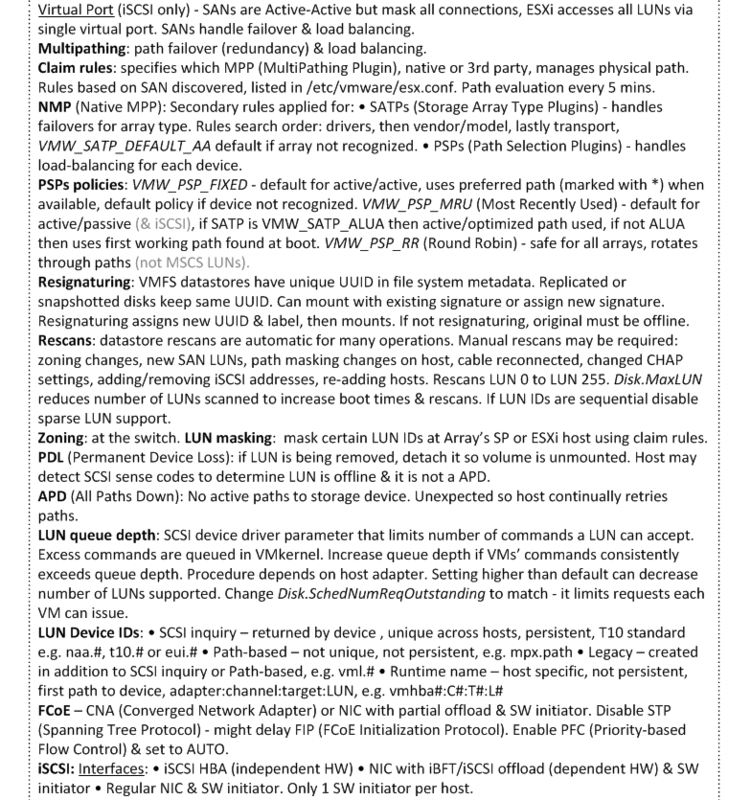 Anything still in grey are areas I’ve not been able to confirm are still valid with vSphere 5. 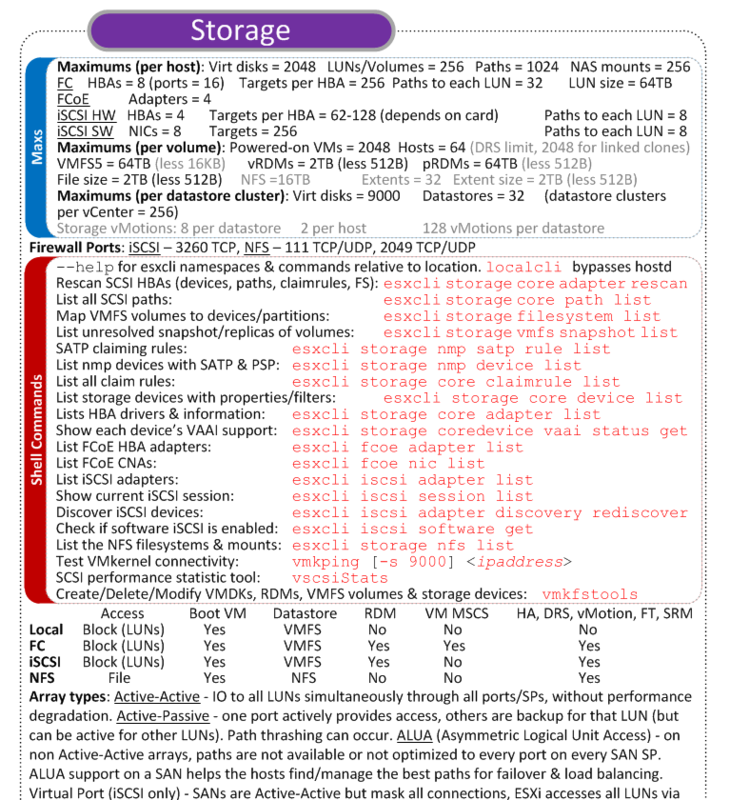 Click on the images below to see it full size or you can view/print it as a PDF here.